If you are from the Netherlands then iDeal is the #1 payment method for buying Runescape Gold. iDeal is secure and instant, all you need is an online bank such as ING, ABN Amro, Rabo Bank etc! Before getting into this step, make sure your bank is eligible for iDeal transfers (to know if it is – head to www.ideal.nl). Now that that’s been sorted out, it’s time to order your runescape gold! 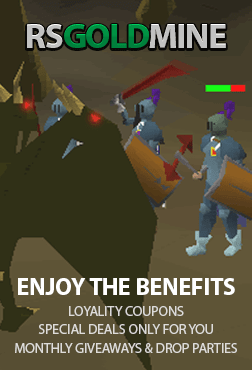 Jump to our runescape gold buying webpage at https://www.rsgoldmine.com/buy-runescape-gold you’ll be met with our interface, specially designed for buying RS Mills. Simply choose which rs gold you would like (RS3 or OSRS), enter in your desired amount, and follow it by your Runescape username. Once you’re happy with your selections, hit the ‘Buy Now’ button. You’ll now be directed to our checkout page! Now that you’re at the checkout page, search through all our options of payments, and select the ‘iDeal’ icon. Once you’ve checked that everyone is how you wanted it to be (and entered any valid coupon codes if you have one), click the ‘Checkout’ button in the bottom right corner of the page! A tab will open, with 10 different dutch bank select the one you are registered with. Once the new tab has loaded up, enter in your current bank details, follow any confirmation and verification prompts, and there you go – you have successfully bought RS Mills! Up to the fun bit now! At the bottom right corner of our webpage, you can find our live chat widget. Simply click on that, and you’ll be forwarded to our team who’re waiting to deliver your rs mills! From this point on, our live chat team will take great care of you and your rs gold! Anything more on your mind? Feel free to talk to our live chat team!